A lovely rustic garden stake 1.1 meter tall. 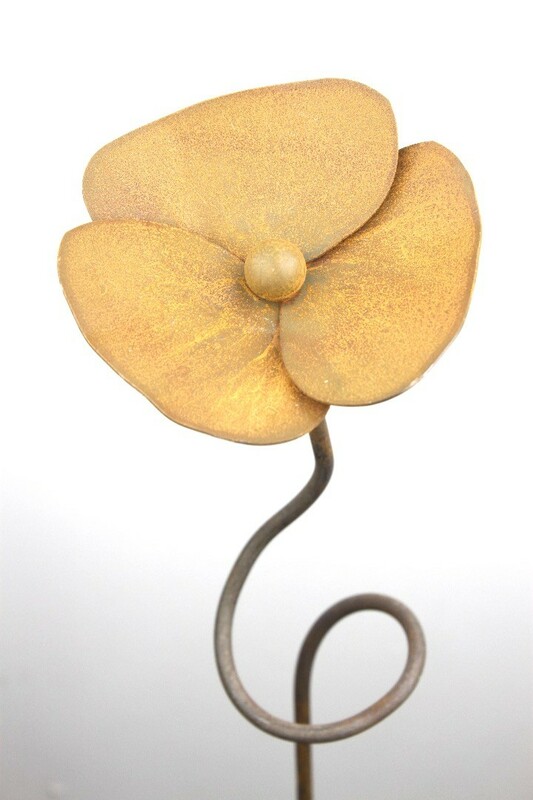 This will add height and interest to your garden for year round interest. 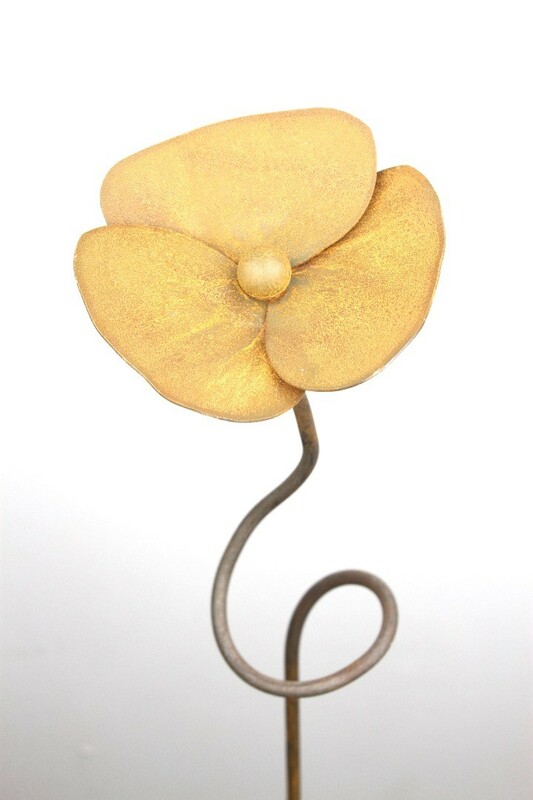 This sculpture is supplied with the oxidised flower head mounted on a bare metal pole . The pole will look grey in colour when it arrives but when placed outside it will quickly oxidise to produce a lovely soft orange colour that will look stunning against the green of the the garden foliage. It will look great and last for many years to come.